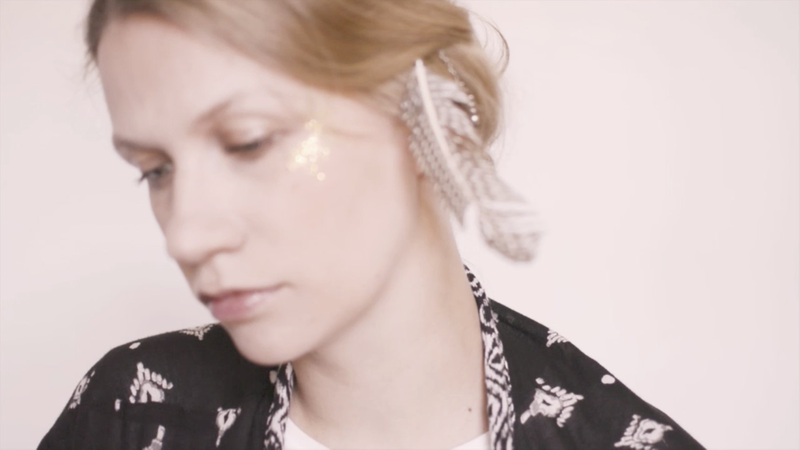 Anne Haight | Blog - Video Premiere "Love Game"
My new single "Love Game" is out today and along with it comes a self-made music video showing me happily singing the song while wearing feathers in my hair and glitter on my cheeks. It's summer and you always should have some glitter at home to be ready for any occasion. I think. I co-wrote the song with Simon and Jody from Autoheart and Danish producer Thomas Stengaard. We met at a songwriting camp in Berlin where we started working on a song idea that I had recorded on my phone a few weeks earlier. We all worked so well together that we wrote and pretty much produced the whole song in one day. I think it was one of the most amazing songwriting sessions in which I've ever participated. The energy was great;we all brought unique skills and perspectives to the table. That diversity of talent is probably why this song turned out so beautifully. Jody’s voice and mine blend together perfectly, Simon’s piano performance and handclaps are wonderful, and Thomas’ production gives the song a nordic touch that I think adds a lot to the overall sound. Ever since then I’ve had a very productive, creative relationship with Simon from Autoheart. We've been collaborating on more songs and he’s definitely going to participate in my next album as well. I’ve also been recording backing vocals for Autoheart’s upcoming album "I Can Build a Fire", which will be released by the end of August 2016. The video is premiered on "Nothing but Hope and Passion". Read their review here!